Trying to find pubs in Clwyd ? You’ve come to the right place. We’ve got every pub and bar in the UK listed. Whether you’re looking for a pub or bar in Clwyd to play darts, somewhere to play pool or just want to have a look at a menu before you go, we can help. Rhyl Sports & Social in Rhyl has a beer garden. The pub has a function room that can be booked, it has an outside area. Rhyl Sports & Social shows live comedy. The pub has a dart board, it has DJ's. Rhyl Sports & Social has karaoke. The pub has live music events, it holds Poker Nights. Breaks Sports Lounge in Rhyl has a pool table. The pub has a big screen, it shows football on TV. Breaks Sports Lounge has Sky Sports. The pub has terrestrial TV. Harbour Hotel in Kinmel Bay serves real ale. 11/06/2011 Worst meal ever eaten. Windsor Vaults in Rhyl has a dart board. The pub has DJ's, it has karaoke. Windsor Vaults has a pool table. 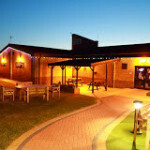 Crown Bard Hotel in Rhyl has a beer garden. The pub has a car park, it has an outside area. Crown Bard Hotel has a smoking area. The pub has a dart board, it has a pool table. Crown Bard Hotel shows football on TV. The pub has Sky Sports, it has terrestrial TV. Caskeys in Rhyl has a beer garden. The pub has disabled facilities, it is a family friendly pub. Caskeys serves food. The pub has an outside area, it serves real ale. 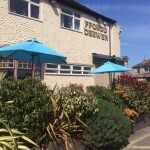 Ffordd Derwen in Rhyl has a beer garden. The pub has a car park, it is a family friendly pub. Ffordd Derwen serves food. The pub serves real ale, it has a dart board. Ffordd Derwen is a member of Cask Marque. Imperial Hotel in Rhyl has a dart board. Bodfor in Rhyl has BT Sport. The pub shows football on TV, it has Sky Sports. 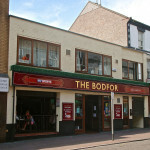 Bodfor has terrestrial TV. 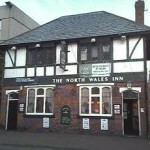 North Wales Inn in Rhyl holds quiz nights.